1840. Anna was born the eight of July 1840 at Annapolis. -- 1844. June the 4th she went to live at Mr Ditty's with her mother. 1845. 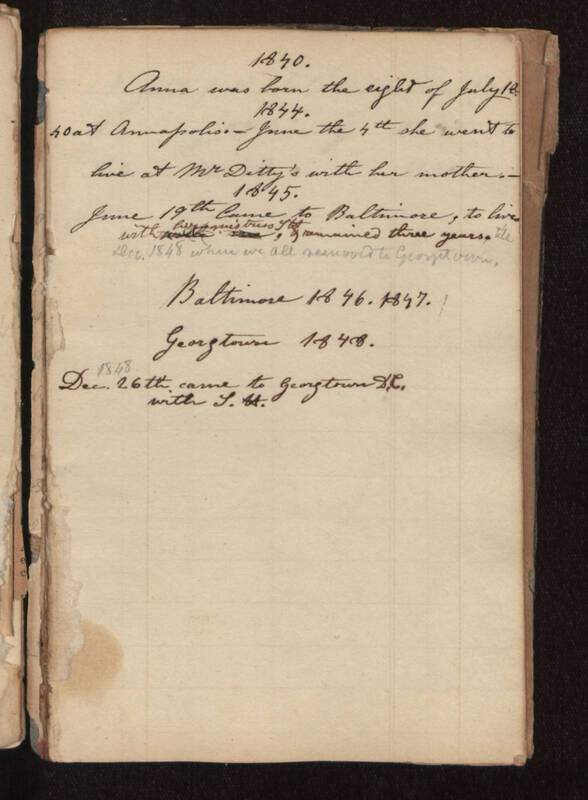 June 19th Came to Baltimore, to live with [illegible] & remained three years. Till Dec. 1848 when we all removed to Georgetown. Baltimore 1846. 1847. Georgetown 1848. Dec. 26th 1848 came to Georgetown D.C. with L.M.